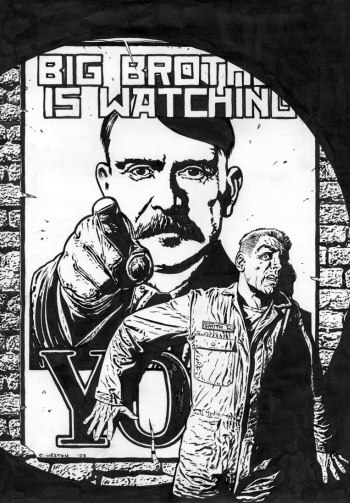 “Big Brother is Watching You,” George Orwell wrote in his disturbing book 1984. But, as Mikko Hypponen points out, Orwell “was an optimist.” Orwell never could have imagined that the National Security Agency (NSA) would amass metadata on billions of our phone calls and 200 million of our text messages every day. 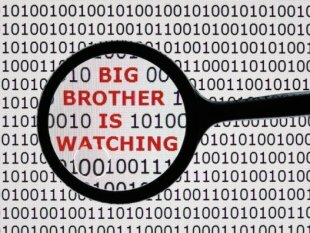 Orwell could not have foreseen that our government would read the content of our emails, file transfers, and live chats from the social media we use. In his recent speech on NSA reforms, President Obama cited as precedent Paul Revere and the Sons of Liberty, who patrolled the streets at night, “reporting back any signs that the British were preparing raids against America’s early Patriots.” This was a weak effort to find historical support for the NSA spying program. After all, Paul Revere and his associates were patrolling the streets, not sorting through people’s private communications. To get a more accurate historical perspective, Obama should have considered how our founding fathers reacted to searches conducted by the British before the revolution. The British used “general warrants,” which authorized blanket searches without any individualized suspicion or specificity of what the colonial authorities were seeking. When the founders later put the Fourth Amendment’s prohibition on unreasonable searches and seizures into the Bill of Rights, they were attempting to ensure that our country would not become a police state. In the 1960’s, the FBI targeted Dr. Martin Luther King, Jr. in a program called “Racial Matters.” King’s campaign to register African-American voters in the South raised the hackles of the FBI, which disingenuously claimed that King’s organization was being infiltrated by communists. But the FBI was really worried that King’s civil rights campaign “represented a clear threat to the established order of the U.S.” The FBI went after King with a vengeance, wiretapping his phones, and securing personal information which it used to try to discredit him, hoping to drive him to divorce and suicide. The NSA spying program captures all of us, including European leaders, people in Mexico, Brazil, the United Nations, and the European Union Parliament, not just the terrorists. Although Obama assured us that the government “does not collect intelligence to suppress criticism or dissent,” our history, particularly during COINTELPRO, tells us otherwise. Obama proposed some reforms to the NSA program, but left in place the most egregious aspects. He said that the NSA must secure approval of a judge on the Foreign Intelligence Surveillance Court before it gets access to the phone records of an individual. But that is a secret court, whose judges are appointed by the conservative Chief Justice John Roberts, and it has almost never turned down an executive branch wiretapping request since it was created in 1978. Most significantly, Obama did not say that surveillance without judicial warrants or individual suspicion should be halted. Snowden’s revelations will reportedly continue to emerge. And you can bet that Orwell will continue to turn in his grave for a long time to come. Marjorie Cohn is a professor of law at Thomas Jefferson School of Law, a past president of the National Lawyers Guild, and deputy secretary general of the International Association of Democratic Lawyers. Her next book, Drones and Targeted Killing: Legal, Moral and Geopolitical Issues,” will be published this fall by University of California Press. Um, I’ll address the elephant in the room. It would have been very difficult for Orwell to imagine the NSA reading emails, collecting metadata, etc. The NSA wasn’t created until after his death, nor did we have email and text messages at that time. I don’t think that Orwell would have been shocked to learn of the government listening in on phones, monitoring mail, etc though. That’s been going on for decades. See reports on the illegal activities and programs used by USA intel to identify, track, threaten, force suicide, or kill Targets ( & political dissidents). The Gaslighting Phenomenon: revealing a menacing cloud hovering over all the world’s people. 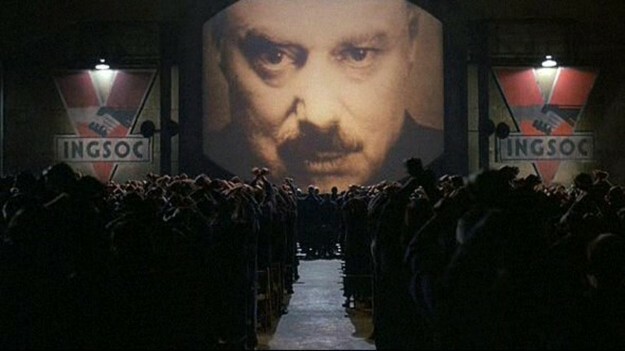 1984 was a much worse scenario than NSA spying, and their mission is futile anyway. If spying and censorship worked longterm the Stasi would still control East Germany. I missed the Super Bowl this year. Did Eurasia win?